As we continue to see our business grow in North America we are delighted to announce an increase in resource specifically dedicated to serving our Human Capital Management clients. Matt Smith is appointed to VP Sales for North America and assumes direct responsibility for all sales and business development activities as well as leading our team at our Hollywood, Florida Headquarters. 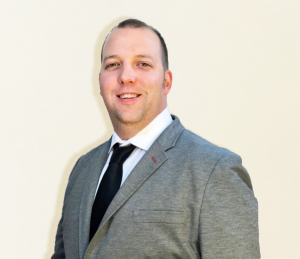 New Business Development Manager, Paul Smith maintains focus on international business development allowing us to better support our US software partners with global ambition. Paul will be focussing on the EMEA and APAC regions, although he remains available to any North American customers that want to reach out. In addition to growth within our existing client base, we are increasingly receiving new enquiries from Human Capital Management and Time & Attendance software providers who are excited about the advances we’ve made in our latest generation of products and services. Many potential customers are concerned about their existing suppliers’ lack of investment and engagement and many see the additional benefits of partnering with a hardware vendor based in the US. We have seen encouraging growth in the US and Canadian markets in recent times and we anticipate further investment in terms of both infrastructure and headcount going forward in the region.